Ken and Wade Lanier have been servicing the cars and trucks of the North Palm Beach, Palm Beach Gardens and Lake Park area for over 20 years now! 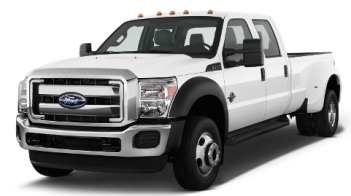 A family owned business for over 30 years, they have highly qualified ASE Certified Master Technicians ready to help you with all your automotive needs. From general maintenance and oil changes to major engine overhauls and transmission rebuilds, the expert auto mechanics at All Star Auto Service can do it all! 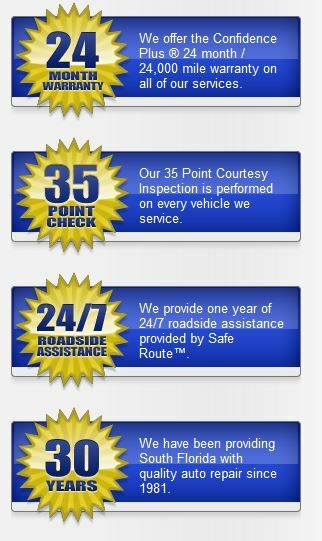 We have a 35-Point Courtesy Check we do on all the vehicles we service. This courtesy check is complimentary and does not cost our customers a thing, however it gives us a more complete understanding of the condition the vehicle is in at the time of service. Read More: Let All Star Auto Service get your car driving as good as the day it was driven off the lot. Our certified technicians are expertly trained to get the job done right the first time, on time. And to make sure you’re 100% satisfied with the repairs you receive from All Star Auto Service, we offer a 24-month / 24,000-mile warranty. Read More:. All Star Auto Service Has Been Your Palm Beach Gardens, Lake Park & North Palm Beach Auto Repair Specialist For Over 30 Years! Palm Beach County Auto & Truck Transmission Experts! All Star Auto Service - Over 30 Years of Serving Northern Palm Beach County and Going Strong!